Innovacera provide full-ceramic bearings and hybrid ceramic bearing. The inner and outer rings of hybrid ceramic bearing is steel and balls is ceramic material. 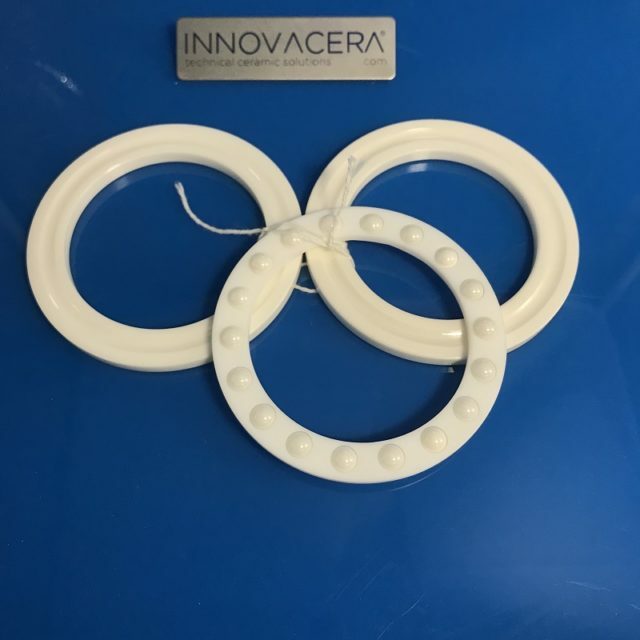 Innovacera can provide different material ceramic material including zirconia ceramic and silicon nitride ceramic. Innovacera is capable to make the ball size from 0. 5 to 90 mm at grade G5-G1OO in different ceramic materials. Regarding to the full ceramic ball bearings we are capable to make the maximum 200 mm outerring and the smallest 3 mm inner ring for all kinds of ceramic materials with PEEK PFAPTFE, Nylon or graphite reinforcing PTFE cage (retainer). Though the strength of ceramic material is lower than steel, ceramic bearing are lighter and have lower friction than steel, that makes ceramic bearing go faster with lower heat generated and has the longer service life.